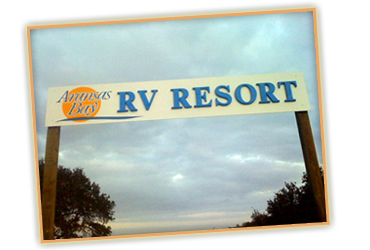 We look forward to welcoming you to Aransas Bay RV Resort. Our number one goal is making sure your stay with us is relaxing and laid back, and we strive to provide the guest services and amenities needed to make your stay as convenient as possible. Come experience a brand new RV resort. STAY ANYTIME THIS SUMMER, AND GET FREE BOAT PARKING! Weekly $200/Week $250 + Elec. Monthly $425/Month + Elec. $460/Month + Elec. Weekender and Long Term Rates are available, please call for more information. * Wi Fi is provided as a convenience and can run slow during heavy usage.